Introducing a robust bulk ink management system for high volume packaging operations. The Autoprint Ink Management System (AIMS) is designed to increase printing efficiency and to reduce the cost of each print copy. The system automatically feeds a total of 700ml of ink simultaneously to three, four, six or eight printheads. The HP bulk ink supply is clean and easy to handle. 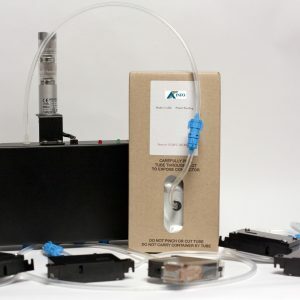 The ergonomic design of the AIMS ink delivery system makes it quick and simple to replace printheads and bulk ink supplies. AIMS delivers greater up time. It was built for production line applications, and increases efficiency and useful life. Consider the closed loop design with regulated ink flow which is inherently reliable. Its robust industrial components require minimal maintenance. 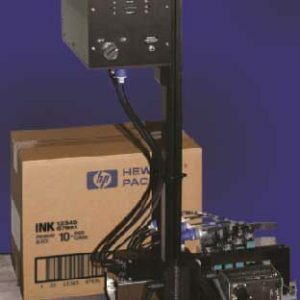 The bulk ink supplies and printheads can be replaced independently, and larger ink supply minimizes operator intervention. Best of all, with AIMS there’s no messy handling and ink disposal procedures.